This book could not have come at a more perfect time for me. On the brink of purchasing our first house (!!! ), Sam and I are currently lost in a whirlwind of moodboards, shopping lists and catalogues, preparing to put our own stamp on our new place. After many years of flicking through photos of other people’s houses, I have some strong ideas about how the interior should look. It’s easy to get lost in the need to create the “perfect” space, but how easy is it to do this in your first ever home, purchasing all of your furniture and decorations at the same time? Will we make choices today that we still stand by in the future, or will everything look a bit dated by 2022? Can we even afford to decorate the house to a perfect standard straight off the cuff? Balancing the need to create something we genuinely love with the need to keep the budget vaguely sensible has already led to several disagreements. So, I was really excited to get stuck into a decorating book to give me some ideas for the house. 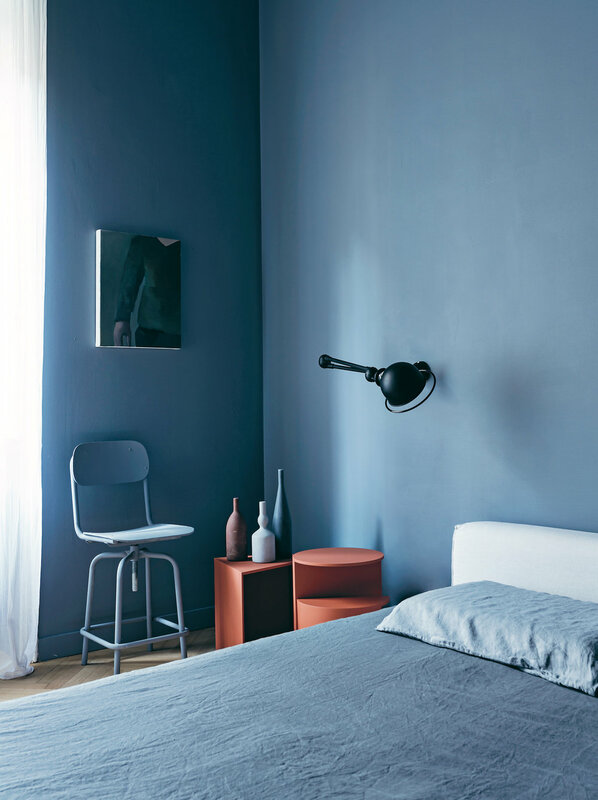 From the teaser photos that landed in my inbox it looked right up my street – rooms that are eclectic and interesting without being saturated in colour. But actually, The Alchemy of Things isn’t really a decorating book – and that’s a good thing. Unlike other interior design books, there are no practical tips to help you create a similar look, and no product suggestions for shopping the homeowner’s style. The interiors featured are layered, creative, and incredibly personal – often made up of furniture and objects acquired over a lifetime. I find this ethos really appealing, and more than a little enlightening. The temptation is often to copy other people’s style – especially if you’re exposed to as many beautiful homes as I am. But mimicking other people isn’t how the most fascinating, unique interiors are created. There’s no shortcut, easy fix or quick tip that you can use to emulate them – it’s something you have to work out on your own, over the course of years or decades rather than in the space of a few months. All of the homeowners in Karen’s book are dancing to the beat of their own drum. Some are keepers and hoarders, others are hunters and traders, but all of them have an intense approach to their living space which is rarely defined by money spent. The result is a fascinating and incredibly varied selection of interiors – some of which I loved, some of which I hated, but all of which were interesting in their own way. I seriously can’t recommend this book enough if you’re into interior design (which presumably you are, otherwise why are you reading this?). It’s so refreshing to read something which encourages the slow accumulation of items that you truly care about, rather than the fast, disposable, get-the-look culture that’s so prevalent in the interiors world. And it’s really liberating to realise that, ultimately, you’re unlikely to get everything perfect on the first try. Your home will probably evolve with you over many years – and that’s the way it should be. The Alchemy of Things, by Karen McCartney, will be published in October 2018. You can buy a copy for £30 from Amazon, Waterstones, or your local bookshop. Styling by David Harrison; photography by Michael Wee.